We are comparing Half-Day Catamaran Excursion in Mallorca Prices from leading ticket suppliers and Try to find you Cheap tickets prices on the market. Catamarans are a multi-hulled watercraft featuring two parallel hulls, they make for great boat excursions thanks to the ample deck room and sunbathing areas. The island is surrounded by idyllic bays that are perfect for swimming, exploring and sunbathing, all of which will be on offer during the trip. This is the ideal excursion for families, friends or couples who love the ocean blue and are ready for an adventure. It’s an opportunity to view the island from a different perspective and to explore further from the mainland than normal. It’s a great way to fit in some swimming too and offers a chance to witness some of Mallorca’s best marine life. If you’ve got a snorkel, bring it! Your Experience With Half-Day Catamaran Excursion in Mallorca? The boat will dock at a nearby beach where you’ll disembark and spend time lounging on the sands. The trip will continue on, stopping at many of the islands most picturesque bays and offering time to explore each. After an hour or two the onboard chef will fire up the BBQ and present the afternoon meal, which will be accompanied by complimentary drinks. After an exhausting day at sea you’ll return to the pier and be transported back to your hotel. 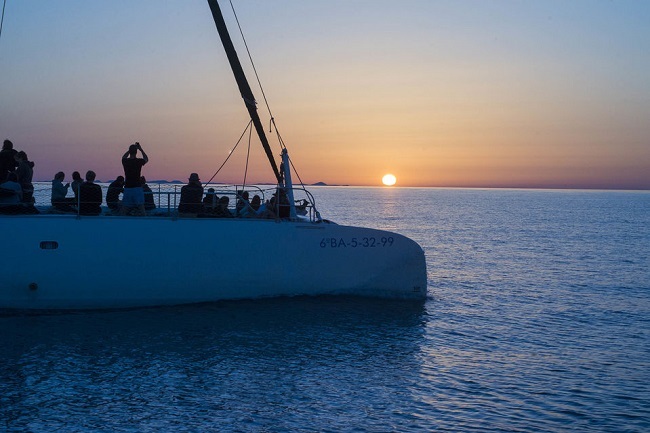 What Half-Day Catamaran Excursion in Mallorca Includes? Don't forget to pack suncream and water. Pack your Go-Pro for some underwater filming! Travelers Reviews about Half-Day Catamaran Excursion in Mallorca? Please bring your own swimming costume and towel. Lunch will be served onboard the catamaran so no need to bring snacks. Meeting points vary but will never be far from your accomodation. Those located in central Palma should meet at Palma Harbour.